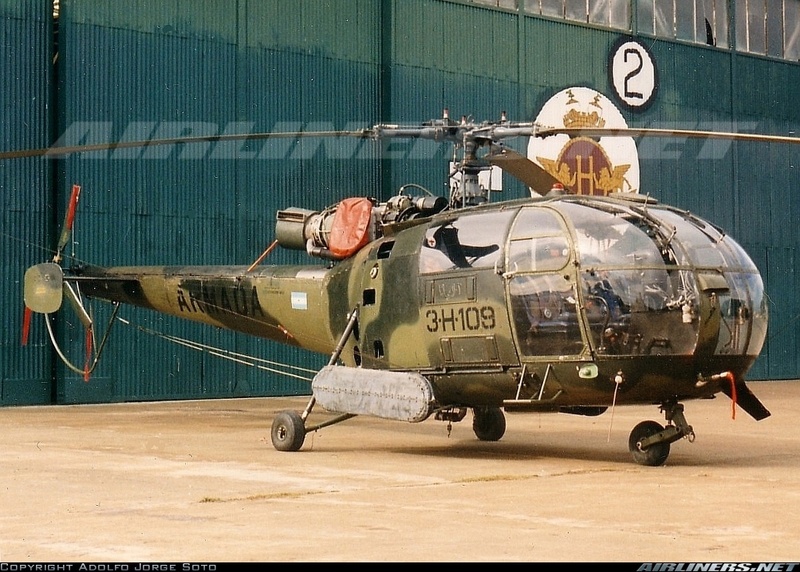 Aerospatiale SA-316B Alouette III has been at Desert Storm war on board corvette MEKO 360 ARA Almirante Brown D-10. Was replaced by 3-H-109 (arrived to Fujairah, UAE onboard C-130H) and served on the ship until 04/1991 when returned home. 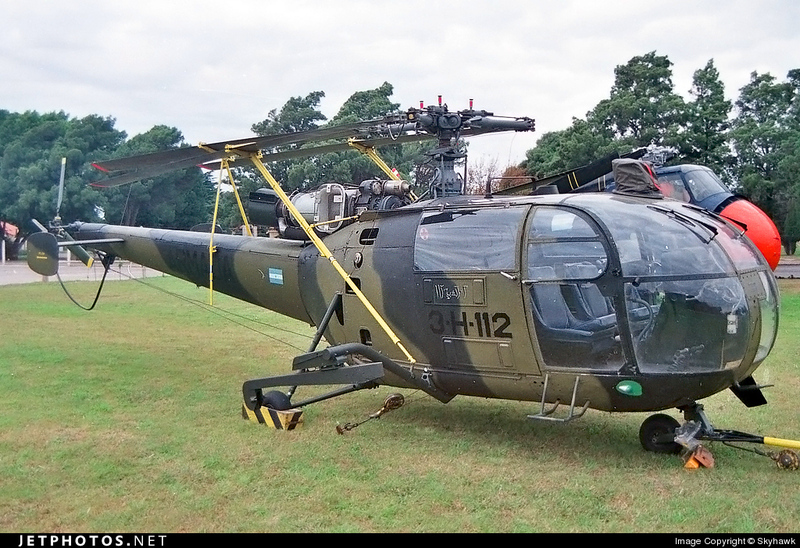 Helos were equipped with MG-151/20 gun in the cabin. Above the code 3-H-109/3-H-112/3-H-115 the same code was written in arabic.